As the festive season fast approaches us it means that family will be coming to stay soon. 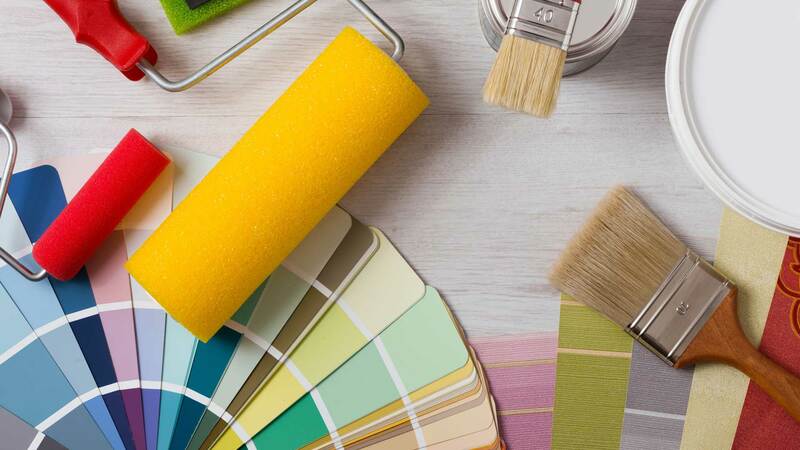 If you feel so inclined to take on some of the home fix – ups yourself, here are some tips that will hopefully make your job (and therefore mom-in-laws visit) a bit easier. Always ensure you have the right tools for the job. You’ll save a lot of time….. remember though that you’ll no longer be able to blame your DIY disasters on your tools. The next time you can’t find your tape measure, remember that a man’s size 11 shoe is 28cm long. Save a lot of clean-up when you’re painting something by covering the paint tray with a plastic packet (turn packet inside out to prevent the ink from contaminating the paint). Slip it over the tray and pour in the paint. When you’re done, pour the paint back into the tin and throw away the bag. Tired of cleaning mildew off your bathroom tiles? Apply a coat of clear car wax – it should keep mildew at bay for a while. When you’re drilling, tape a plastic bag underneath the point you’re going to drill to catch the dust. If you have a scratched DVD that skips when you play it, put a blob of toothpaste on your finger and rub it all over the DVD then wipe it with a soft toilet paper. No more skipping. Keep a box of old newspapers sorted under your workbench. Every time you make a DIY blunder, take the paper out, light it (in a safe place, like your braai). Very therapeutic. Cut a piece of hosepipe to the length of your saw’s blade, then make a slit along the length of the pipe. Slip it onto the blade to protect it when it’s not being used. Got a blocked drain but no plunger? Shove a hosepipe as far down the offending drain as you can, then turn the tap on hard for a second or two and repeat – it should help dislodge whatever’s stuck. Mix bicarbonate of soda and vinegar; it will froth and foam. Use instantly to get rid of any bathroom mould and mould between tiles. Remove soap scum from ceramic- tile and fiberglass bath surface, wait five minutes, then wipe it clean with a wet sponge. It’s a great chemical-free cleaner. When you’re painting a chair or table, put the feet into old aluminum cupcake moulds – any paint that runs down the legs will be tapped in the mould. You can also use this method to treat wood with a finish or preservative. In the latter case, pour some preservative into each mould and let the feel soak it up. Avoid getting paint on your hands by cutting an old tennis ball in half, then making a slit on the “crown” and sticking the handle through it. Silence creaking floorboards by sprinkling talcum powder in the offending area and work into the gaps between the boards. Wife Acceptance Factor (WAF) is easily increased by keeping things simple, neat and clean. Increased functionality at the cost of clean aesthetics will cost you in other ways. If you need to saw a piece of wood but don’t have a workbench or anything to rest it on, open the legs of a step ladder and turn it on its side. To prevent the cap of a superglue tube from sealing for good, dab a little petroleum jelly (like Vaseline) on the tip before replacing the cap. This will prevent the glue from sticking to it. To control how deep you drill, wrap electrical tape around the drill bit so the exposed bit shows the correct depth. Instead of bending over to paint all the skirting boards in your house, borrow your nephew’s skateboard and sit on that. It’ll be easy to move up and down the length of the walls and may just inspire you to head down to the half pipe once you’re done. When painting, don’t use plastic sheeting on the floor as this will be slippery – and particularly dangerous if you’re working on steps. Use old dust sheets or newspaper instead. To prevent your car doors from banging against the garage wall, fasten a piece of hosepipe, at the desired height, along the wall. This will act as a buffer and protect the door. Before you replace the lid on a paint tin, drape a cloth over the lid so that any paint that has collected in the rim of the tin does not spray up on you when tapping it closed. If you need a small screwdriver, scratch through your girlfriend or wifes beauty products. She’ll have a nail file, which should do the trick. Just don’t bend it. Painting the area around a neon tube gloss white will increase the unit’s effectiveness, particularly when that surface is grey concrete, like in your garage. To prevent tile adhesive drying out, mix only enough to be used in 30 minutes. To keep the gutters clear of debris, cover them with the plastic mesh that is used to support climbing plants. Climbing up and down a ladder to retrieve fallen tools? Drill some holes in the top step of the ladder to hold the tools you use most often. To prevent a mat or carpet from slipping, apply some silicone to its underside and allow it to dry before you turn it over.